At Emerald Coast Fellowship we have a very relational group of college students who gather on Sunday mornings for small group bible study. The goal of our college small group class is to connect with one another and do life together. They spend time in God’s word together looking at how the Bible applies to their daily lives. This group is lead by Cody and Ashlee Shields who have a heart for these students. They do their absolute best to pour into their lives. Throughout the week our college students at ECF meet on Thursday nights at a community-wide college service called Collide. Collide is a non-denominational, non-church affiliated ministry. 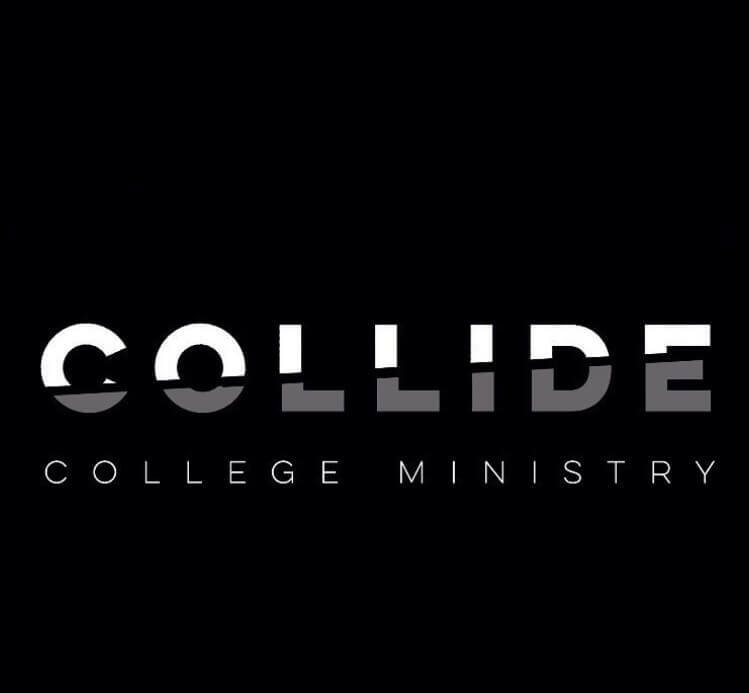 Collide is also a campus ministry at Gulf Coast State College and at FSU PC. Collide invites all college-age students from 18-25 to join them on Thursday nights. Their focus is to put different backgrounds aside and focus solely on Jesus. Collide has three mission goals. They want to reach the campus and point the students they encounter to Christ. They want to reach the community. Collide does this by doing different community service and outreach events. Finally, we want to reach the local churches. Collide wants all of their students who come to Collide to get involved in a local church and serve there on Sunday.